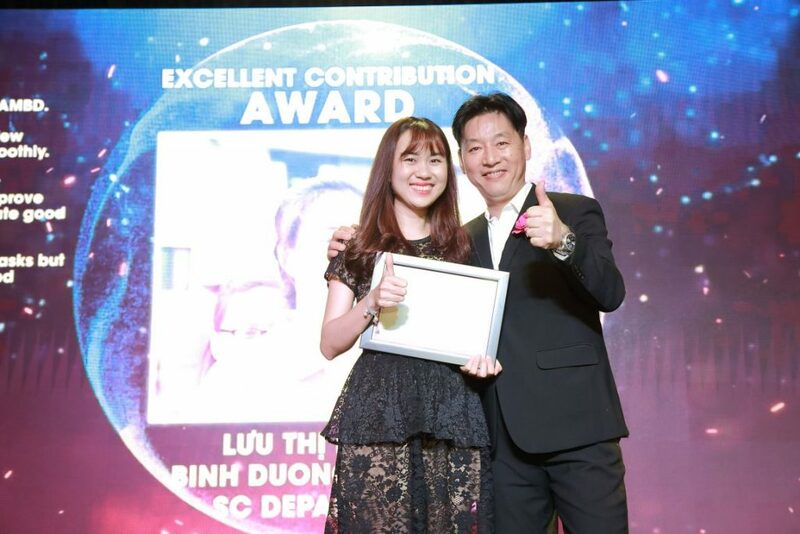 In 2018, Ms. Luu Thi Le Tam has completed 3 important projects in AEON MALL Binh Duong Canary. The Excellent Contribution Award is a great achievement of her after another hard working year. That is the working environment. 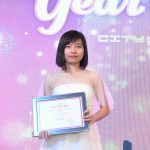 I worked at AEONMALL Vietnam, in particularly at AEON MALL Binh Duong Canary for more than 4 years. I always feel the attention and guidance from my superiors and receive support from colleagues. We work together, play together, travel together…. We are not only colleagues but also friends who can stick together and be willing to help each other in our life. 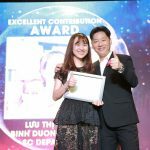 In my opinion, the most challenging is improving myself at AEONMALL Vietnam. 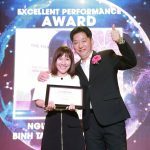 It is also an opportunity and a great challenge for AEONMALL and for each individual. We always set goals, implement and monitor, evaluate annually. 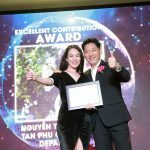 Therefore, it is necessary to improve ourselves and overcome our limits day by day, month by month, year by year together to motivate ourselves and grow up in order to bring the best quality service, the most professional, and the most suitable for people in Vietnam under the motto of AEONMALL. I really learned a lot of knowledge and skills from my superiors and colleagues. 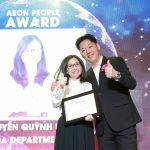 Besides, I also thank AEONMALL for bringing me the work experience, service style, working attitude very professionally and bearing the imprint of AEONMALL from the smallest details such as eyes and Aeon smiles. It might be really helpful for me not only in the present but also in the future. I hope that I will be able to learn and improve myself in the new position. Along with the orientation of the company, I want to accompany AEONMALL to expand and develop in Vietnam market, bring AEONMALL closer and closer to every Vietnamese people.